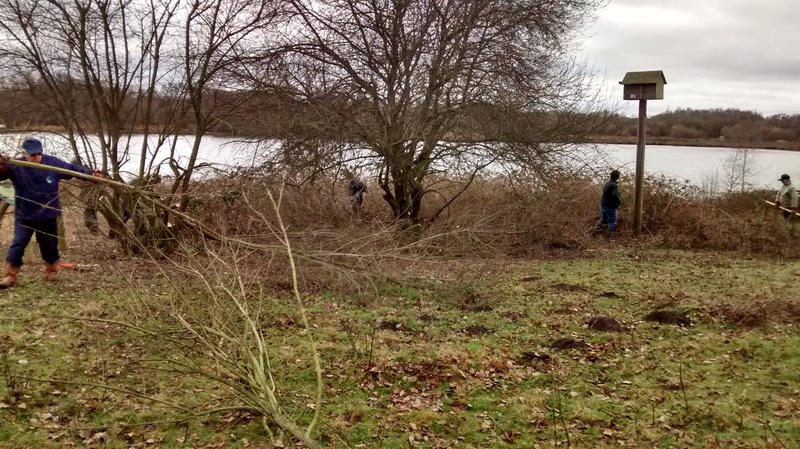 Yesterday the volunteers, Jenny and I headed down to Moor Green Lakes to cut back one of the scrub islands on the north east corner of Colebrook Lake North. It’s important to retain this meadow which is awash with betony in the summer. Without this annual cutting of encroaching scrub this valuable meadow would soon be lost. The volunteers did really well clearing over a tennis court sized area near the raptor box. 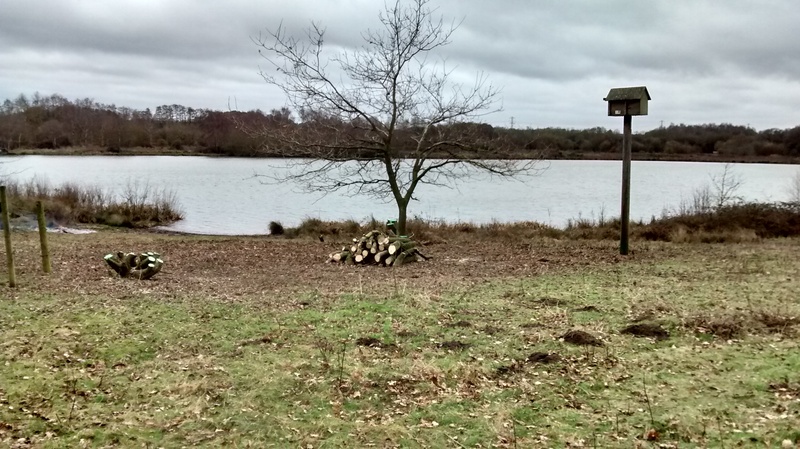 You can view the improvement from Colebrook Hide. Duncan and Sean also helped us drop off some rotten logs ready for installing a stag beetle stumpery near the Blackwater Valley Path. If you’d like to help out then the volunteers will be cutting back along the ochreous stream (between the 3 lakes) and installing a stumpery on Sunday 12th March, meeting at 10:30am in the Lower Sandhurst Road car park.